In this video, Kate discusses strategies for introducing more raw and healthy foods into our children’s diets. It can feel incredibly hard at times, when there is so much pressure from family members, school friends, advertising and the media to eat the foods that everyone else is eating. We want our children to be happy and not feel left out from the group, yet how to navigate the minefield of children’s parties, supermarket checkouts, and well-meaning relatives? Kate has raised her three sons on a predominantly raw vegan diet. 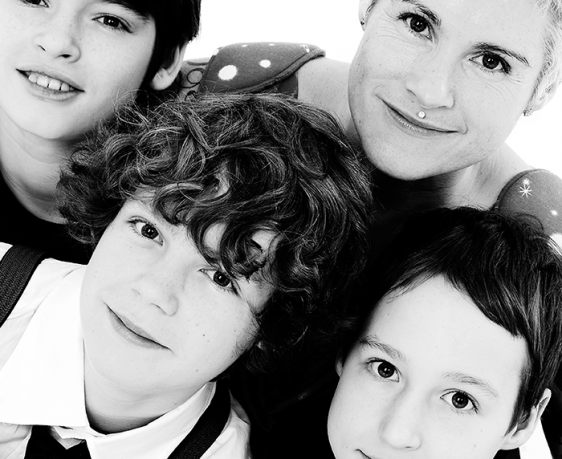 Currently aged 17, 15 and 11, the boys are all exceptionally healthy, energetic, and bright. As they get older, and become more independent in their food choices, raw vegan options are still their preference. This video is aimed at parents who want to include more raw foods in their diet, but also any parent who wants to encourage their children into healthy eating habits. Also included is a recipe video for one of Kate’s signature dishes, Raw Pasta Sauce. Kate teaches this in different guises in all of her food prep classes around the world and it always goes down a storm. Learn this basic recipe which can be varied infinite number of ways to produce something delicious every time. Use it as a base for pasta, pizza, curry, chilli, Thai, and so much more. It’s a really popular recipe with everyone, but especially with kids, quick and easy to do, and a clever way to sneak raw vegetables into unsuspecting bodies (both young and old!). Kate discusses strategies for introducing more raw and healthy foods into our children's diets. She is raising three boys (currently aged 17, 15 and 11) on a predominantly raw vegan diet. It was great to meet you, listen to you and above all eat the amazing food you made for us last week. My sister and I had a wonderful week of yoga, relaxation and eating the most excellent, restorative and energising food we’ve ever had, AND it tasted AMAZING. I intend to get as raw as I can, so far Im loving being dairy and processed sugar free. Not sure how long caffeine-free will last but I feel GREEEEEEEEEEEEAT! Thank you so much. Thanks Kate, really enjoyed the video, I bought it because I thought it would give me ideas on raw food for kids but what I really loved was you talking about being a mum and it’s true there isn’t much good info out there about raising kids. So thanks again you have been a great inspiration to me.